Lara Jean Gallagher is a writer and director originally from rural Pennsylvania where she was raised on a steady stream of television, polka, processed food, and wooded warfare with her three sisters. Her work focuses on small towns, dysfunctional families, and the kind of humor and relationships that are only possible when everything else is screwed up. Her shorts and music videos have screened at SXSW, Palm Springs Shortfest, Mill Valley, Portland International, DC Shorts, and online via Pitchfork, Spin, Rolling Stone, and NPR, among others. Lara earned her Directing MFA from Columbia University and was named one of IFP’s 2015 Emerging Storytellers. She currently lives in Portland, Oregon and is in post production on her first feature film, Clementine, with support from Venice Biennale College-Cinema, IFP, Film Independent and the Sundance Institute. Clementine will premiere in the US Narrative Competition at the 2019 Tribeca Film Festival. Aimee Lynn Barneburg is an independent producer based in Portland, OR. She is a Sundance Institute Creative Producing Summit Fellow, a Film Independent Producing Fellow and an IFP Narrative Lab Fellow. She got her start working in Los Angeles under veteran writer/director Garry Marshall. Since then, Aimee Lynn has served as the line producer and unit production manager for independent feature films and produced numerous other projects, ranging from short films and music videos to multi-million-dollar ad campaigns for global brands such as Nike, Adidas, Amazon and Google. She is a story-driven producer able to work within a variety of budgets and locations having shot all over the U.S., South America, Europe and Asia. Most recently, Aimee Lynn was the associate producer on Andrew Haigh’s latest film, Lean on Pete, distributed by A24 and released in March 2018. Clementine is her first feature film as lead producer. Davis Priestley founded Revery, a creative production company, in Portland Oregon in 2013 and serves as Founder and Executive Creative Producer. A California native, he got his start in production at age 13. While in Los Angeles he worked as an assistant director, UPM, line producer, and producer for many film and TV projects. Select credits include the independent feature The Auteur (Tribeca premiere), the interactive web film The Build, Gus Van Sant’s Paranoid Park, Craig Lucas’ The Dying Gaul, HBO’s Entourage, Tommy Harden’s short film Passage, and the Emmy-nominated Bravo series Project Runway. As a member of the development team at Mythgarden, Davis also helped bring Save Me to the screen (Sundance premiere). His background also includes extensive commercial production for clients such as Nike, Google, Cartoon Network, Adobe, and Audi, as well as several live-event projects with music talents like Madonna and Paul McCartney. Karina Ripper is a first-generation Mexican-American and former Texan, where she studied film production at the University of North Texas while hustling nights in a newsroom as a floor director and camera operator. In New York City, she worked on television series productions for National Geographic WILD and the Discovery Channel. Her most recent short film, The Child and The Dead (Producer, Co-Director), screened at the 2016 Mill Valley, Maryland, St. Louis and Indie Memphis Film Festivals and received awards for best short at the Bend Film Festival and Oregon Independent Film Festivals. 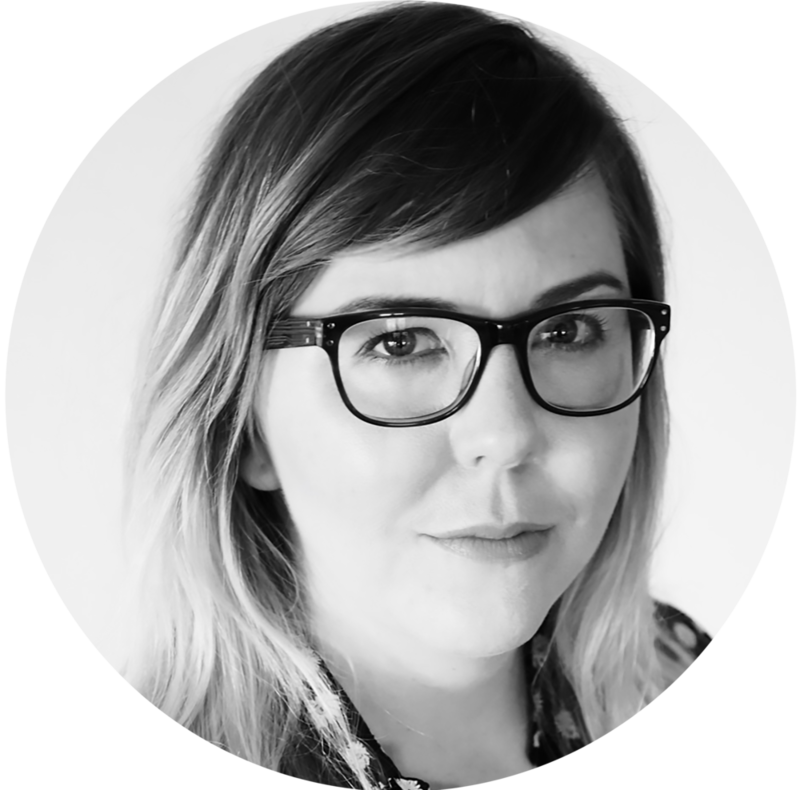 She works as a producer and post supervisor on commercial campaigns for clients such as Nike and Adidas and was an Associate Producer on Beware the Slenderman, a 2017 feature length documentary for HBO Films. Kelly Ford is a Marketing Strategist based in Portland, OR. Originally hailing from Minnesota, she studied Art History and Sociology at the University of Wisconsin-Madison, before heading out west to purse a career as an Art Consultant. She spent five years in the art world; representing artists by curating and selling a diverse range of fine art to a dedicated clientele. In 2013, Kelly segued into a more focused role in marketing at creative agencies. As an Account Executive, she has managed marketing strategy and execution for global and boutique brands such as Adidas, Herschel Supply Co., Converse and Rapha Cycles. Since 2017, she has been working full time as a PR and Marketing Strategist for creative projects; helping to craft narratives and strategic planning across all media to promote the work of Creatives, Artists and Storytellers. Nicole Arbusto has continued her long relationship with Azazel Jacobs, casting his most recent film, The Lovers, starring Debra Winger and Tracy Letts and produced by A24. The film had its world premiere at the Tribeca Film Festival. Recent films include Trust Nordisk & Bacon Pictures DRIB, which screened at SXSW, and 31, written and directed by Rob Zombie, which premiered at the 2016 Sundance Film Festival. In TV, she recently cast Room 104, a new anthology series from the Duplass Bros., airing on HBO. Other films screening at Sundance include Stephanie Daley, The Business of Strangers, and The Tao of Steve. Nicole also casts for theater and has a 12-year association with the Ojai Playwrights Conference, working with playwrights and directors in the development of new work. She is a graduate of Smith College. Andres Karu was born and raised in New Jersey. After studying film at Rutgers University, he wound up pursuing another passion: music. He travelled the U.S. and Europe as a professional musician for several years before moving to New York City to begin a career as a cameraman. He worked his way up as a camera assistant over the next six years working on commercials, short films, music videos and the last seven years working as a cinematographer. He has photographed several features and over two-dozen short films, several of which have screened at major film festivals such as Telluride, SXSW, Tribeca and Los Angeles Film Festival. Alexander Morris is a writer and editor based in Portland, Oregon. Born and raised in the Pacific Northwest, he studied English at Lewis & Clark College. After graduation, he started working in the film industry and was drawn to editing because of his interest in story. He has edited short form and commercial projects for such clients as Nike, FX, Columbia, KFC, Old Spice, and the Producers Guild of America. His feature length film credits include assisting Kelly Reichardt on Certain Women and editing Breadcrumb Trail, Lance Bangs' feature length documentary about the mysterious underground rock band, Slint. Katy Jarzebowski is a composer, Sundance Fellow and lifelong cinephile. Combining old world influences with new world sounds, Katy's work balances a strong background in string and orchestral writing with intimate elements of sound design, electronics, and folk music. Her credits include the Jon Stewart-produced film After Spring, which premiered at Tribeca and aired on STARZ, as well as the upcoming documentary Nothing is Truer Than Truth, featuring Oscar-winner Mark Rylance. Katy recently collaborated with screenwriter Nicole Perlman (Guardians of the Galaxy, Captain Marvel) on her directorial debut. She graduated from Yale University and earned a Masters in Music at NYU. In 2014, she was selected as a composer fellow at the Sundance Music and Sound Design Lab at Skywalker Sound. Katy is forever grateful to her parents for being unapologetically militant cinephiles and her grandparents for sharing their love of music.